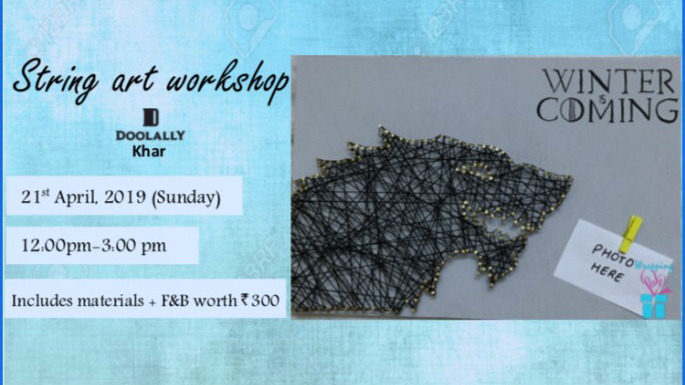 This workshop is 100% hands on, participants can select one design (Game of Thrones/Love/Name plate) and need not have prior experience for the same. All materials will be provided at the venue and they can take the art work home. It is 3 in one art work consisting of one string art object, brushlettering and photo inserter too.